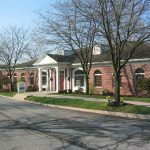 Century Office Park - PPI Real Estate- Property Professionals Inc. 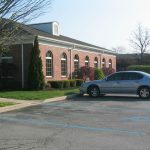 The Century Office Park is a class A, 18,000 square foot office complex located just east of the Jefferson Pointe Mall and Apple Glen Shopping Center in Fort Wayne, Indiana. This commercial property is less than 2 miles from Interstate 69 and less than 8 miles from the airport. Century is zoned CM-1. Century Office Park caters to office users wanting to be in Fort Wayne’s best retail district. Offices are ADA accessible and extremely well maintained. The office suites range from around 450 square feet up to around 7,000 square feet. Buildings are wood frame/brick veneer construction. Century Office Park offers ample on-site parking for all your parking needs. There is exterior signage available on Jefferson Boulevard. Lease terms for this location tend to range from three (3) years to five (5) years. For more information regarding the Century Office Park or to schedule a tour, please contact Martin Huttenlocker of Bradley Company at 260-210-3930.